Hi there, I’m a reader of your book. Currently I’m going to do some geometric parameterizationwork about a conceptual plane, the plane requires high fidelity CFD analysis at the very beginning of the design including the control segments(like simple flap, spoiler etc), But I didn’t find any parameterization method about these segments. So I wonder if any hints or resources could be given for learning, thanks in advance. It is not about parameterization per se, but it has some lovely insights into high lift systems in general. I’ve read your paper ‘Self-designing’ Parametric Geometries’ and inspired from that a lot, meanwhile may I ask two questions about this paper and MDO. 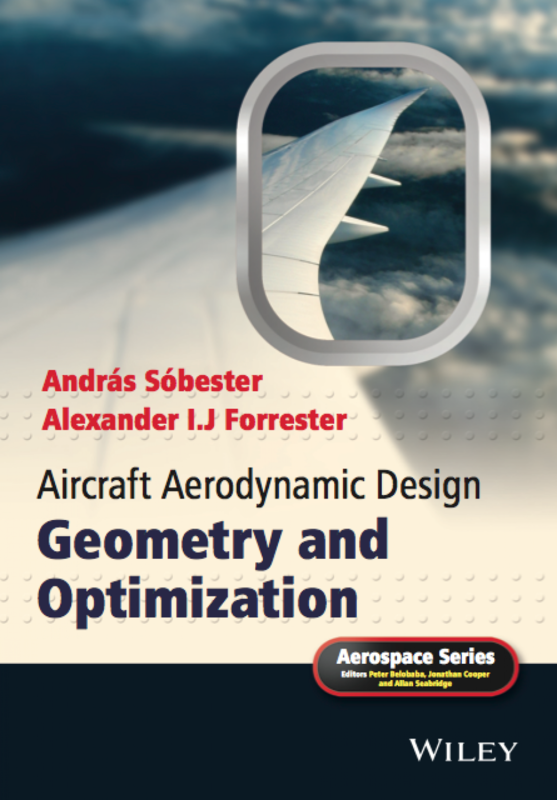 Both in the book (Aircraft Aerodynamic Design: Geometry and Optimization) and in this paper, you have encuraged that using some abstract design parameter directly drive geometry to perform high level design instead of the conventional scalar and geometry modeling approach. This is quite promising, however, since different CAD may have diiferent numerical algorithm to do the modeling process,(like some CAD have multi section loft while others just use other ways to build surfaces) how we could ensure that the model builded from different CADs are the same if our design parameter have close relationship with a certain Geometry Modeling solftware? When considering the sweep function and dihedral function or something else, they can of course be a function of any order as we want, but will the wing resulted from these functions easy to build, or will this optimization result makes practical sense? it is widely known that actuatlly the elliptical wing has been in use at the world war II(e.g British ‘splitfire’), and I’ve always heard that the reason we still commonly use trapezoid wing is that it could reach a nearly ecllips lift distribution at relatively low cost. Like the NASA common research model whose dihedral function is not a line anymore, nowdays more complex model are being studied.so do we need to consider the cost factor when doing geometric optimization in research? Will it be practical / meaningful / ok to use some high order function to build the wing? since I’m new to this area(MDO), please do not mind if they’re naive or odd , I’m puzzled by these questions a lot and will really apprciate that if some hints can be given on these. Thanks for getting in touch, Will. 1) I think maintaining a common geometry thread across the design process is one of the big challenges of MDO. As you suggest though, you might want to transfer from one geometry modelling tool to another, at which point transferring the parameterization becomes a significant challenge. So at the moment you’d have to parameterize in one CAD tool and then freeze the geometry before transitioning to another CAD tool (for, say, detail design). 2) Yes, in some cases your shape freedom will be limited by manufacturing constraints. For example, it is very difficult to make a built-up spar+ribs+Al panels wing with a non-linear twist variation. However, if you were to 3d-print the wing, you could print one with non-linear twist, dihedral, etc. !